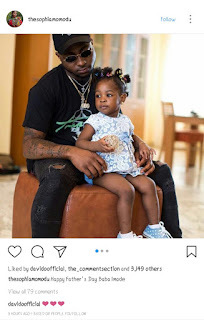 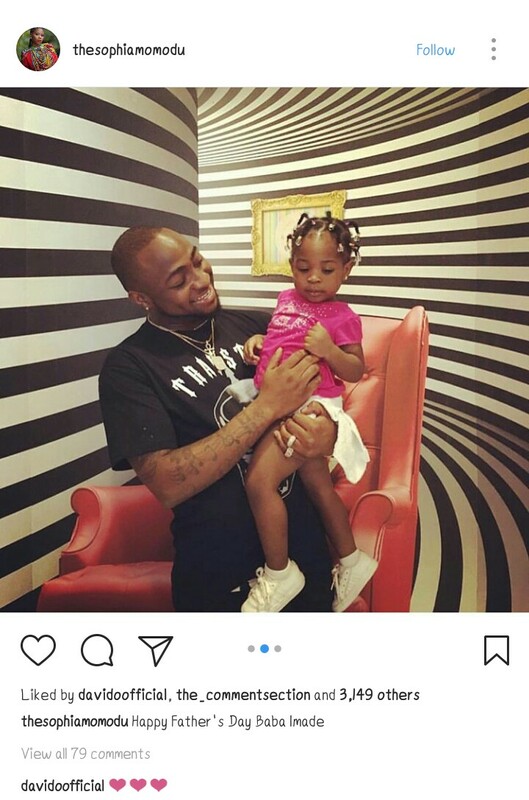 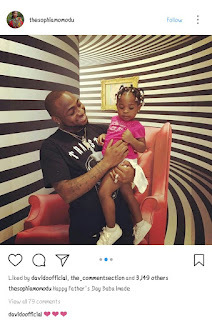 Davido's Baby Mama, Sophia Momodu wished the father of her daughter, Imade, "Happy Father's Day". 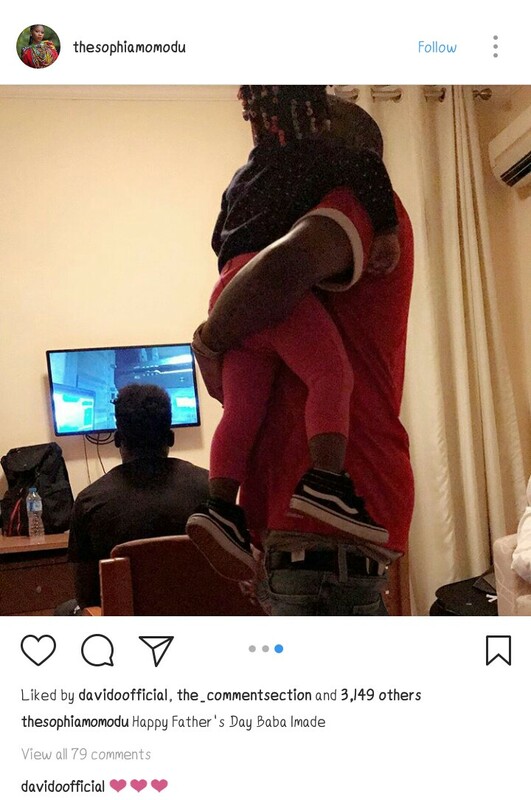 She wrote: Happy Father's Day Baba Imade. Davido replied with the Love smiley.